Samsung might launch smartphones with foldable screens next year, but will anyone care? Bloomberg reported that Samsung is working on ‘Project Valley’, a program to develop smartphones with bendable and foldable screens. The company is said to be aiming to reveal two new devices next year, including one that folds in half a la flip-phones, as well as a 5-inch handset that unfurls into an 8-inch tablet. They might be similar to the concepts Samsung showed off in a video from 2014. However, those models aren’t likely to be flagships. Instead, they’ll serve to gauge the market’s interest in phones with foldable screens. We’ve been hearing about this technology for some time now, and Samsung isn’t the only company experimenting with foldable screen tech. LG, Sony and Sharp have been at it as well. 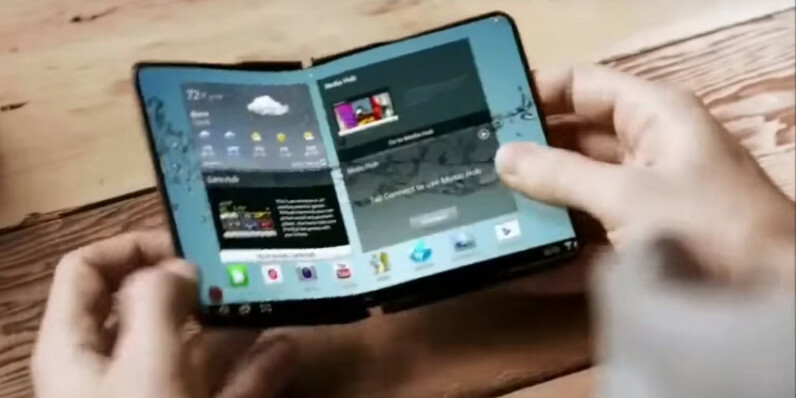 But while the ability to bend and fold your screen sounds ultra-futuristic, I’m not sure it’s going to drastically change the mobile device market immediately. Of course, it’ll help designers create devices that are easier to carry in your pocket or purse. But we’ve only been getting used to bigger handsets in the recent past. Barring the 4.7-inch iPhone SE, there are almost no new phones that come in at under 5 inches. At the same time, we’ve come to expect more from our phones in terms of battery life, processing power and imaging capabilities. Since those attributes have only been improving incrementally over the past few years, it seems like reducing the overall size of a device to half may push manufacturers to compromise on specifications. However, even if these two new devices only appeal to a small niche of the market when they launch next year, Samsung would benefit by learning firsthand about how people use bendable and foldable screens in the real world. This technology might also aid in the development and adoption of modular phones. LG’s G5, shown off at Mobile World Congress in February, gave us a taste of what it might be like to switch out components on our phones. And Google is set to begin shipping its Project Ara modular devices to developers this fall. Imagine being able to carry around a cube of smartphone components that plug into each other and then connecting it to a pocketable screen that unfurls to create a large mobile workspace. If modular phones take off, Samsung might be in a position to develop and deliver screens to other manufacturers. There’s no doubt that bendable phones will allow for some interesting applications when they arrive, but it just may not be the killer feature that it’s being touted as right now.